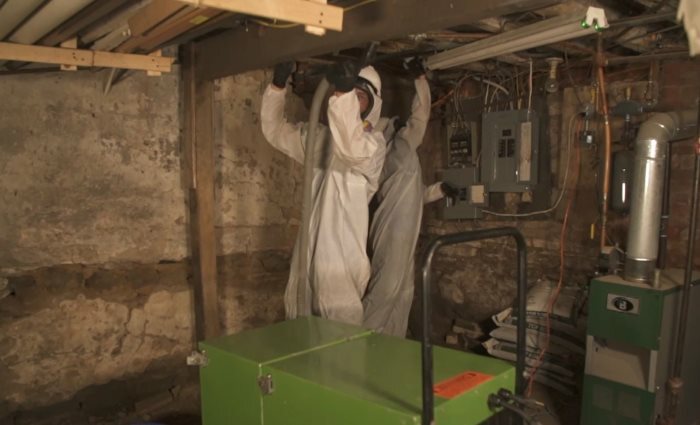 Disaster Blaster is a Full-Service Indoor Restoration Firm specializing in Water Damage, Smoke Damage, Duct Cleaning, Asbestos Abatement, Radon Mitigation, Flood Cleanup, Mold Remediation, Odor Removal, Vandalism, and Reconstruction. We're looking for the right people to join our team! If you're looking for a Full Time position with a growing company in the Northeastern PA Area, please contact our offices! We look forward to hearing from you. Please Contact Our Offices at (570) 963-1123 to discuss Employment Opportunities! Alternatively, you may stop by our office at any time and complete an Application. Applications are conveniently available in a small box outside our door and can be deposited in the locked mailbox to the left. Disaster Blaster Inc. is proud to be the Industry Leader in the Northeastern PA Area, providing exceptional service to our customers and neighbors. Our offices have always been located in Northeastern PA, and not being part of a franchise, we are proud to only report to our local customers. Our wide ranging service offerings are centered around restoring the indoor environment of a property to a safe state. We are happy to count among our employ long term employees that have been with us for a number of years.